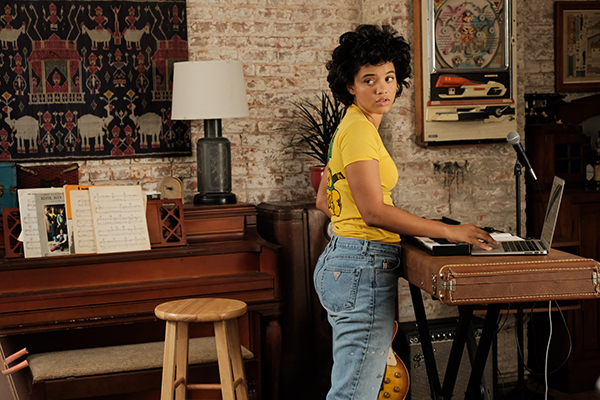 Nick Offerman is Frank making music with daughter Sam played by Kiersey Clemons. Photo by Jon Pak. 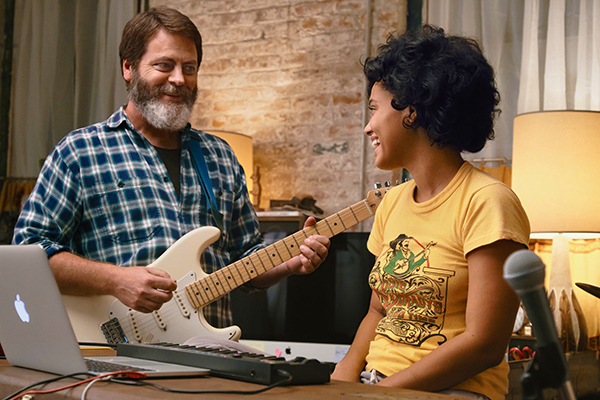 Hearts Beat Loud is a heart-warming father and daughter story with a great musical soundtrack. If you're looking for a fun way to celebrate a belated Father's Day with your dad, this is the perfect flick. It's such a pity the September 6 release date wasn't shifted a week earlier for Aussie audiences. It stars Nick Offerman as Frank Fisher, the father of Sam played by Kiersey Clemons. 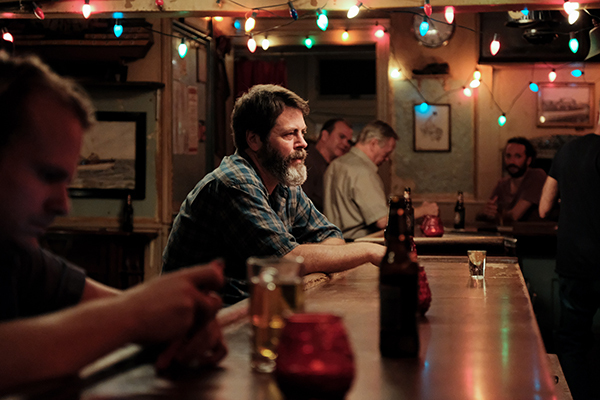 Offerman definitely out-acts his younger co-star, but both are enjoyable and share a nice on-screen chemistry. You also have to give them credit for performing the original songs in the film. The music is actually genuinely listenable. When the duo performs a small gig of three songs in Frank's record store, you're not tapping your foot impatiently waiting for the music to stop, you're tapping along to the beat and enjoying the show. Aww look it's that grouse chick Toni Colette bunging on the US accent to play Leslie like the top-shelf actress she is. Photo by Jon Pak. Toni Collette as Leslie, Frank's kind landlady and potential love interest. Sasha Lane as Rose, Sam's supportive, artistic girlfriend. Blythe Danner as Marianne Fisher, Franks' mum, Sam's grandma who is suffering from dementia. The narrative doesn't offer too many surprises but it isn't dull in its predictability. It's charming, funny and sweet. It's not too cloying and there are some really touching moments along the way. Frank, a single dad, runs a failing record store. He and his only daughter Sam share a tight bond, especially over music. Sam is working hard on pre-med and is determined to become a doctor even though it means moving away from her artist girlfriend Rose. Frank and Sam record a song together for fun. Frank uploads it to the internet and boom, next thing you know the song's an overnight success. Rose and Sam share a romantic moment. Photo by Anna Kooris. Of course, it wouldn't be a drama if Sam wasn't conflicted over a music career versus med'. She's got to get a little peeved at dad for uploading the song without her permission. Naturally, Frank's desperate to be in a successful band since music is his number one passion. Plus, Sam's deceased mum and Frank used to be in a band together, heightening the importance. Do they save Frank's failing record store? Does he find a new girlfriend? Will our heroine study med or start a music career? Will she and Rose break up? I won't spoil that for you. Frank contemplates all the things. Photo by Jon Pak. This character-driven comedy is a treat for anyone with a creative bone in their body. It explores how often great art comes from the more challenging moments in our lives. It's also a nice movie for anyone considering a new direction later in life. It celebrates the ways life can surprise us at any age. There's a great message about rolling with whatever life throws your way and being flexible and open-minded. I especially enjoyed the thoughtful and diverse casting, director Brett Haley and casting director Tiffany Little Canfield have chosen some wonderful talent. Should I stay or should I go? Sam has some big decisions to make. Photo by Jon Pak. Hearts Beat Loud will leave you feeling good and humming the title song for hours afterwards. 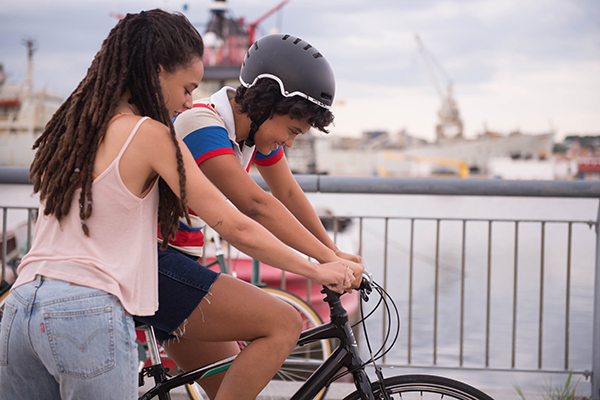 If you're looking for a movie with which you can make an emotional connection without reaching for the Kleenex, give this one a try. Now playing in select cinemas all around Australia. Check your local guides for dates, times and pricing.